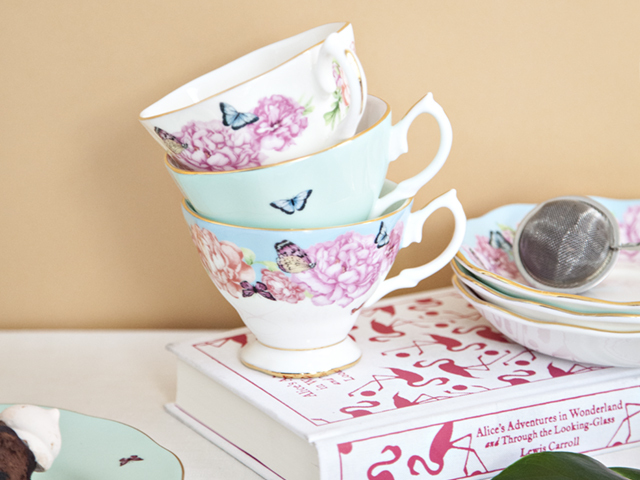 Royal Albert knows a thing or two about throwing an afternoon tea party. After all, they've been making fine bone china tea accessories since 1904. They're all about adding a unique touch of cheeky feminine fun to all things quintessentially English to form their giftware and tableware collections. From tea sets, plates and mugs, all the way through to tote bags and picture frames, they know it’s all in the detail. By using the finest materials, you can expect only the very best; whether you're collecting an entire range, building your own eclectic mix of patterns, or buying a gift for someone special.